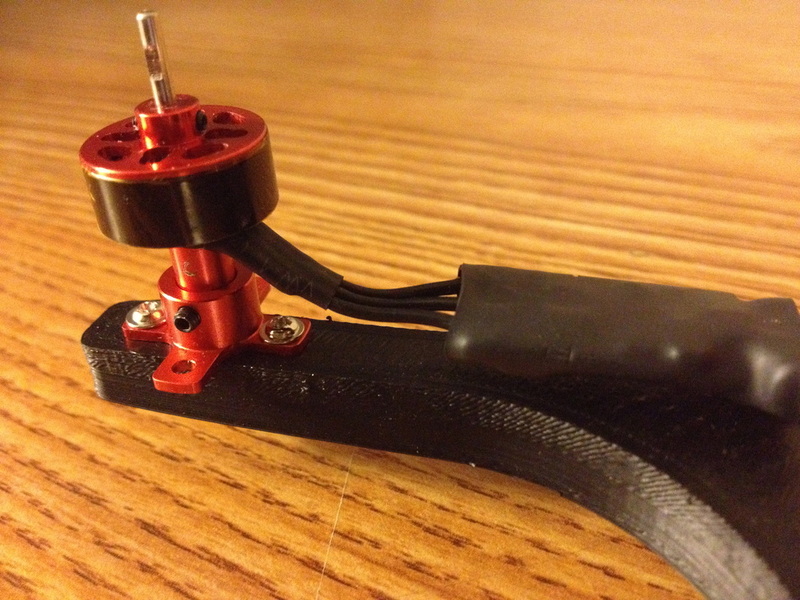 I started off by mounting the motor bases to the arms of the frame. 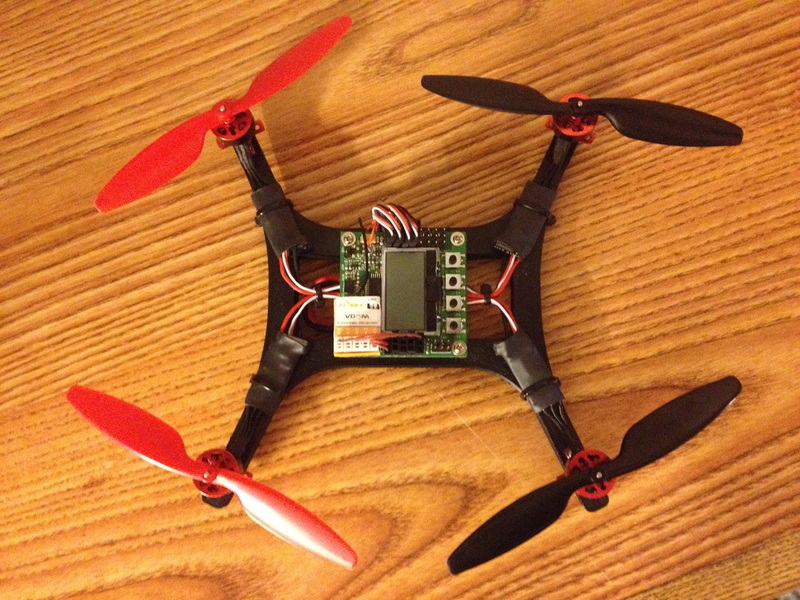 I used the M2 screws I ordered from HobbyKing to do this and they fit very well. 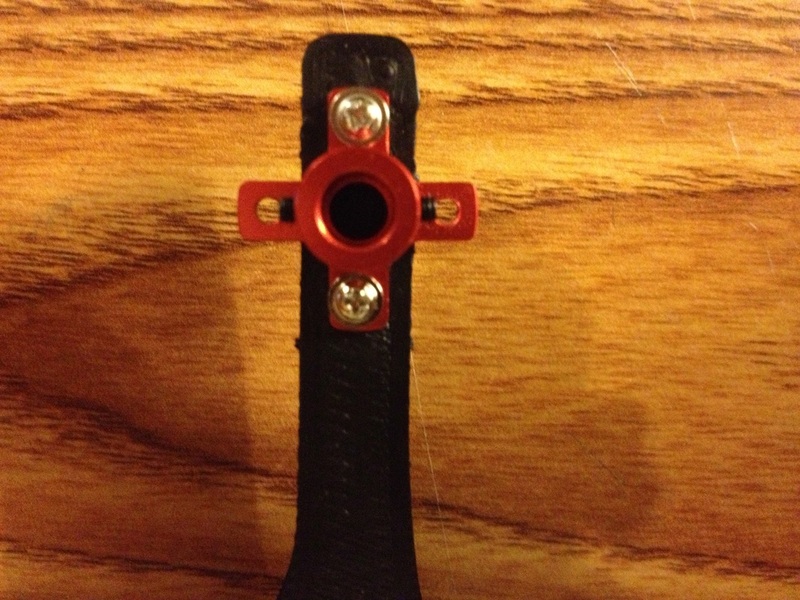 The frame was designed with holes already spaced to match the motor mounts. 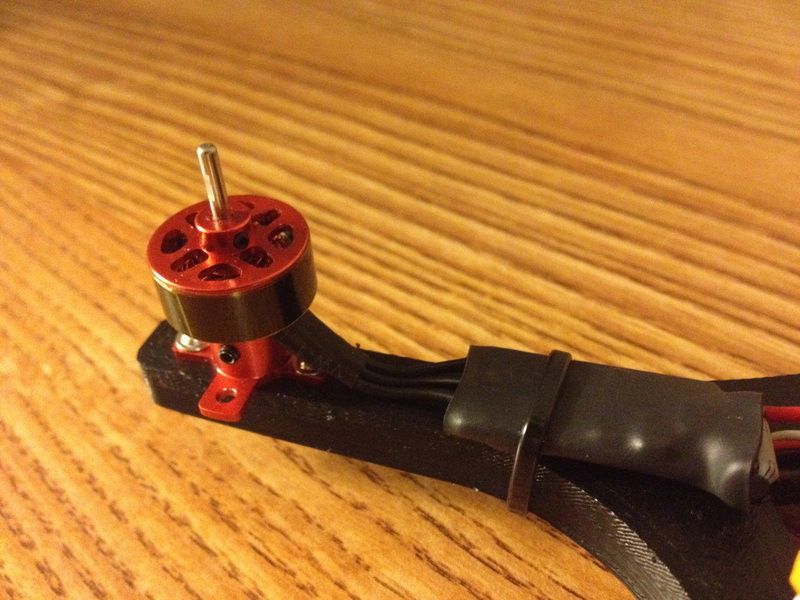 I then moved on to soldering the motors directly to the ESC's. 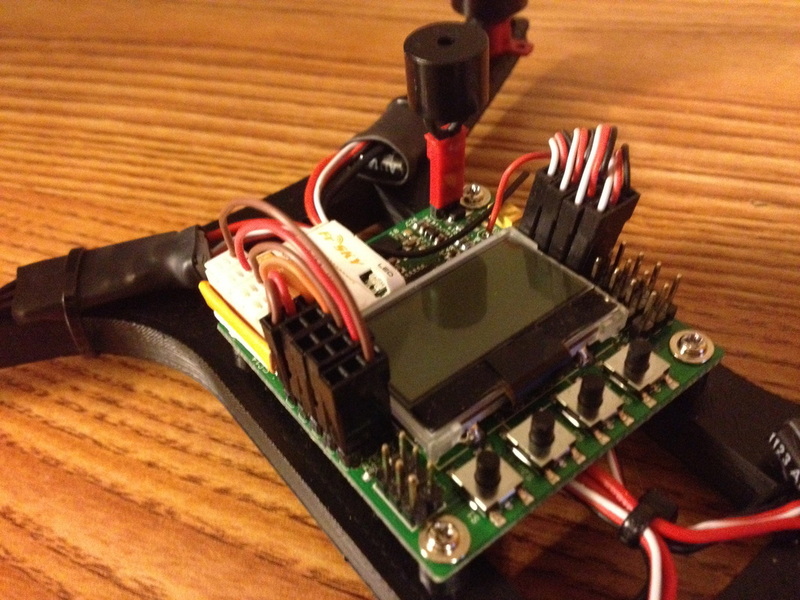 I removed the original heat shrink from the ESC and reapplied my own black heat shrink. 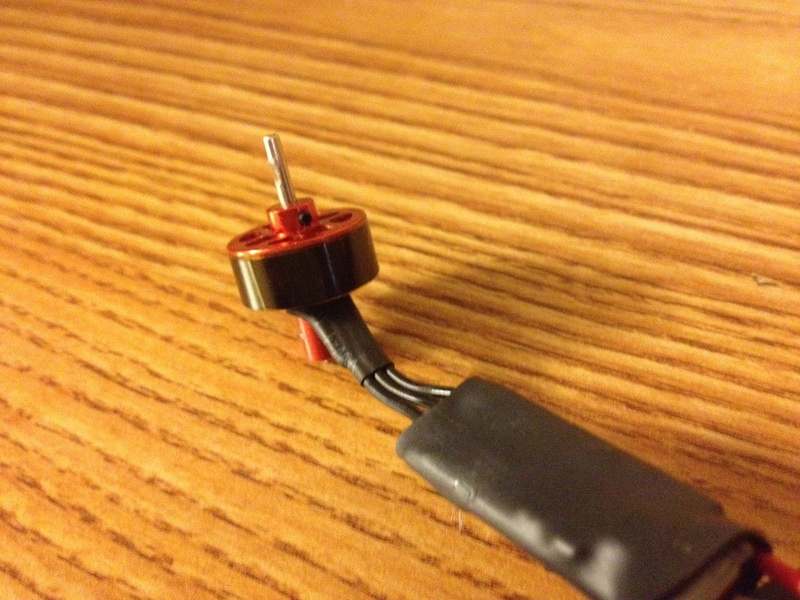 In order for two of the motors to spin in opposite directions, I soldered two of the four ESC's with the wires switched around. 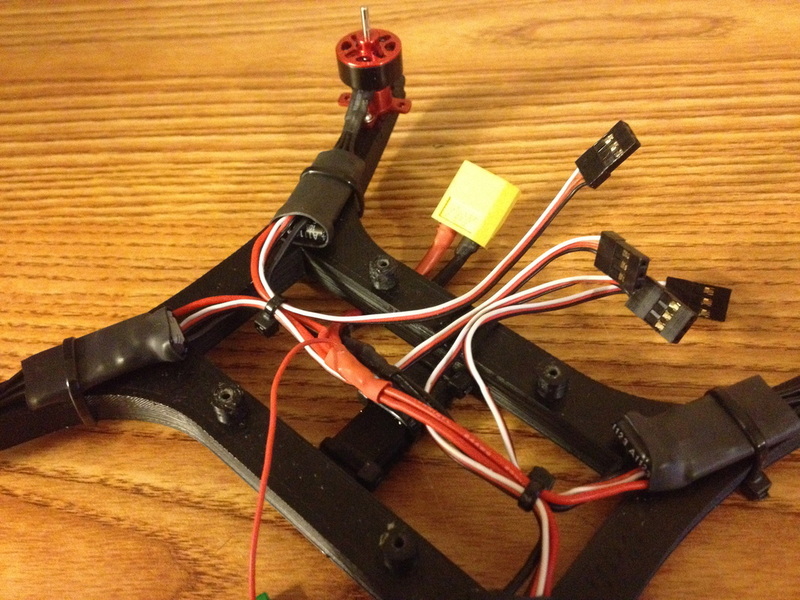 After soldering and heat shrinking all of the ESC's, I mounted the motors into their mounts. 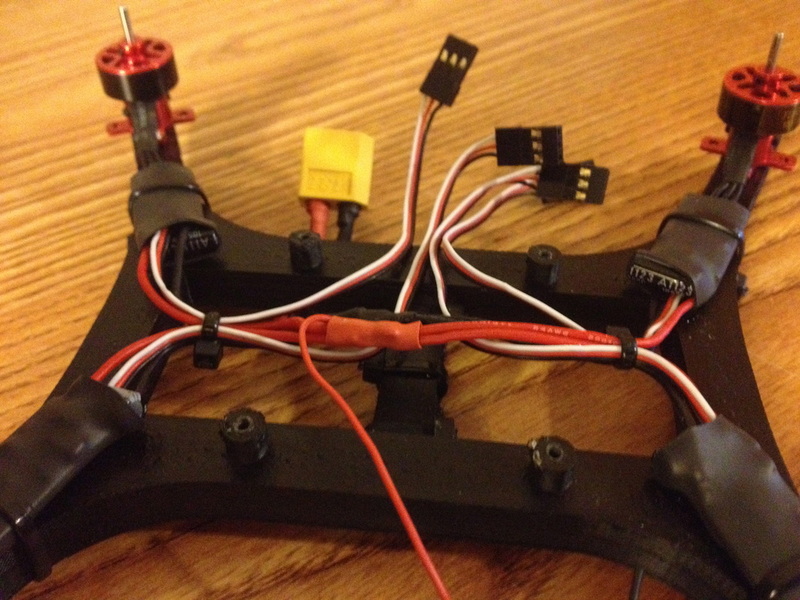 After all the motors had been mounted, I used black 4" zip ties to hold down the ESC's to the arms. Once all the ESC's were securely in place, I connected all of their wires into a power distribution that ran down the middle of the frame. I then used some more zip ties to hold all the wires together. I also soldered one extra red wire from the power distribution so that I could connect it to the KK2's voltage sensor. You can see the red wire going off towards the bottom of the picture. 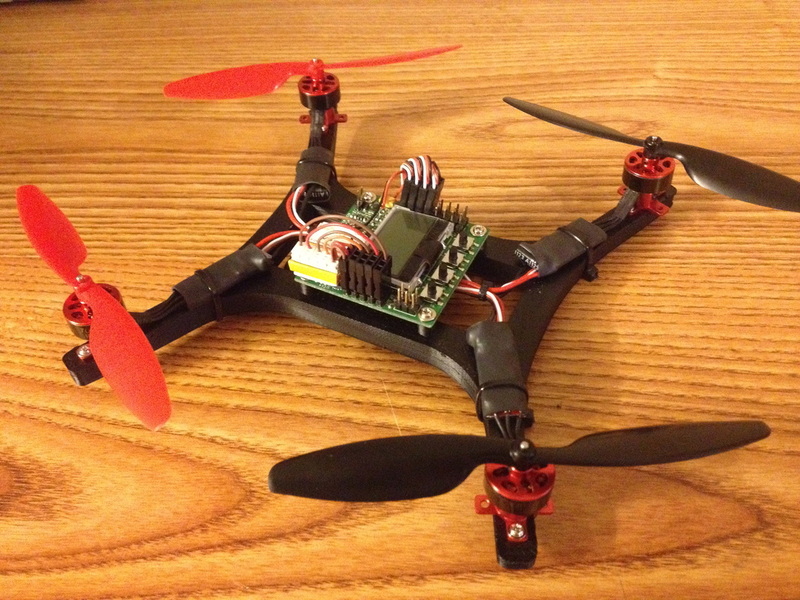 After the power distribution was complete, I moved onto mounting the KK2 board onto the frame. 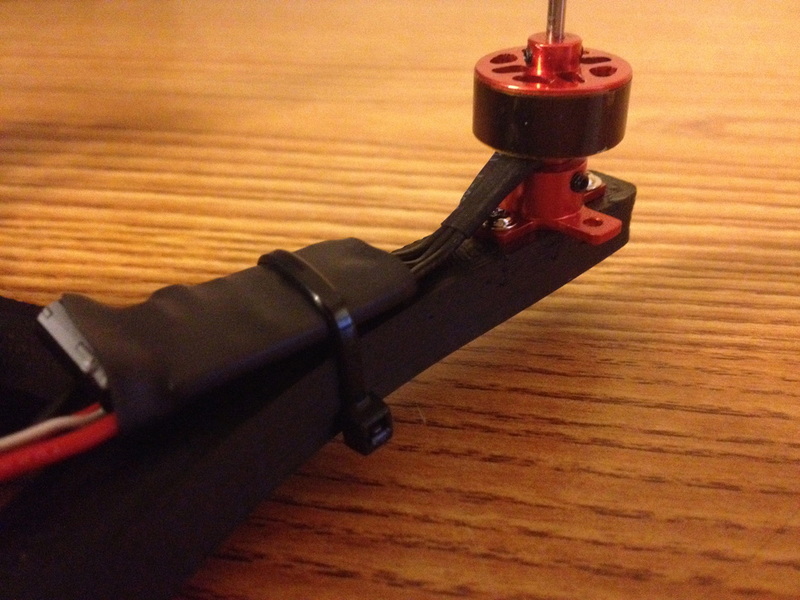 I used the same M2 screws that I had used on the motor mounts. The screws went directly into the four posts on top of the frame. 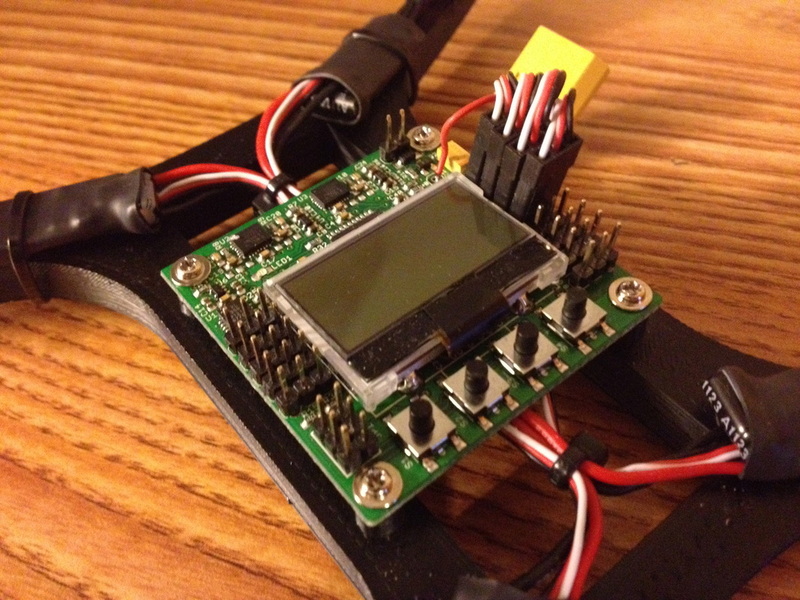 After the KK2 was mounted, I plugged in all the ESC cables into the board and also soldered the extra red wire into the voltage sensor. The voltage sensor shares a common ground with the rest of the ESC's, so I didn't need to solder in a separate ground for it as well. 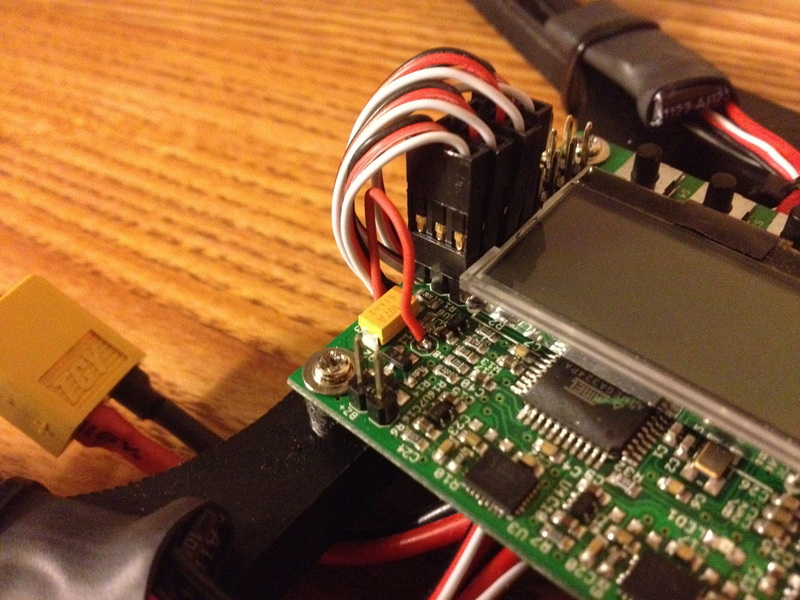 The next thing I moved onto was connecting my FrSky receiver to the KK2. 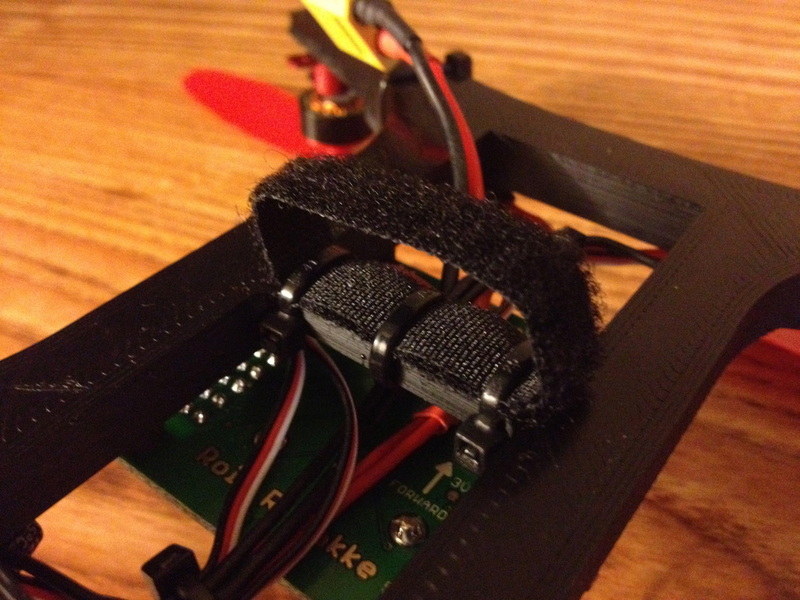 The FrSky receiver I had ordered weighed only a few grams and it used micro molex connectors. 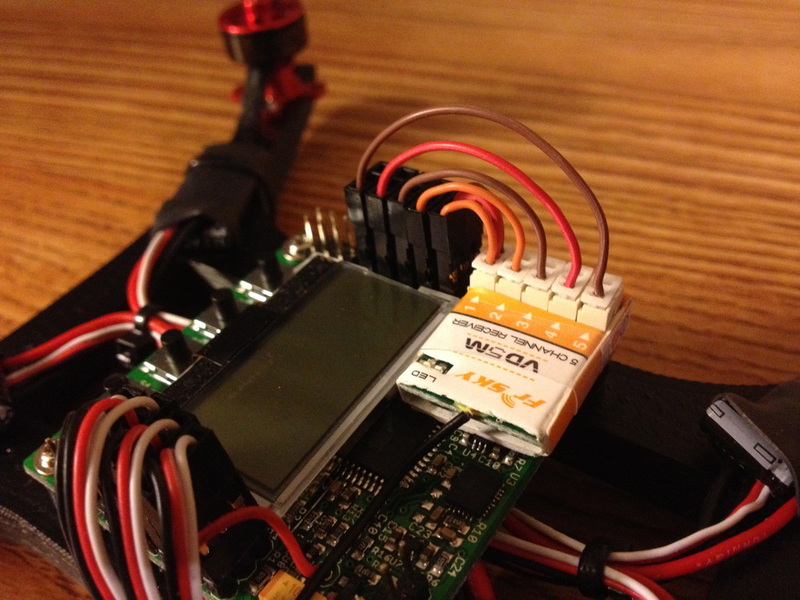 In order to connect it to the KK2 board, I had to use some Futaba connectors and make custom cables. I used 7 total wires; one ground, one vcc, and five signal wires. 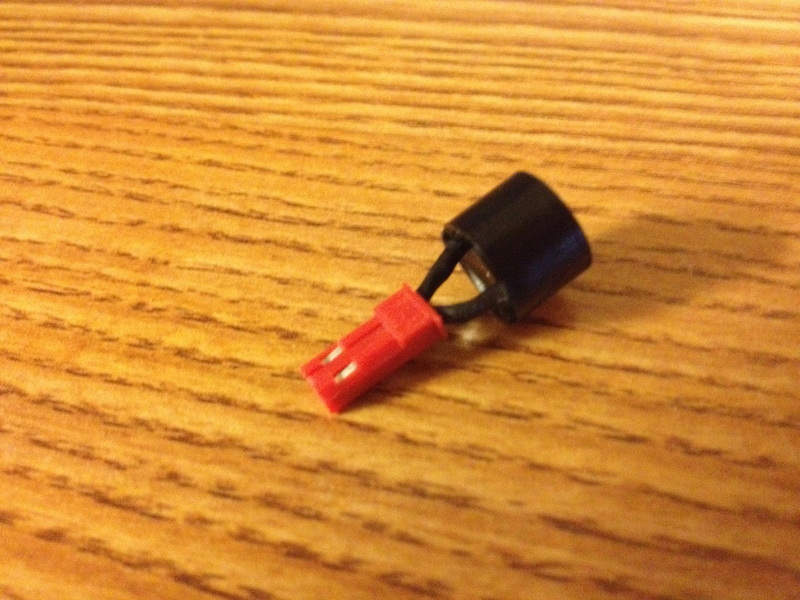 The fifth signal wire was for the switch that activates and disables self level mode. 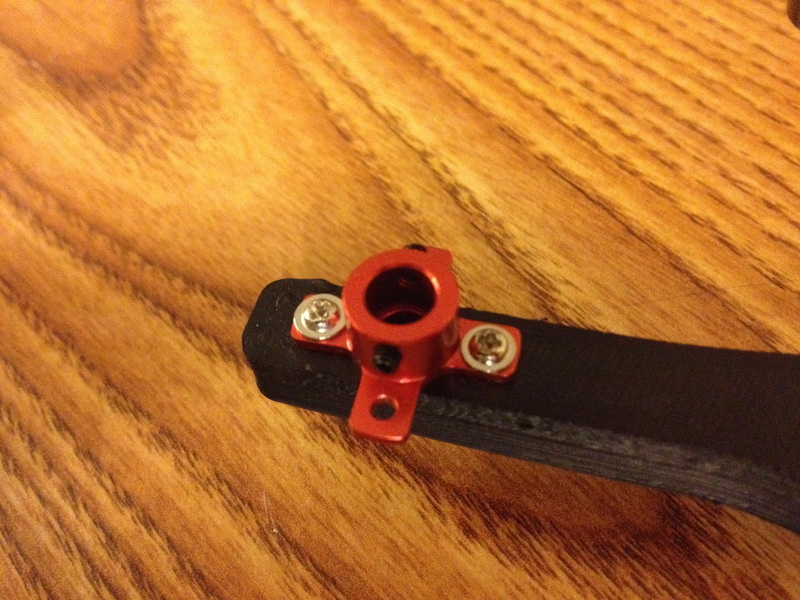 I also made a small modification to the stock buzzer that comes with the KK2. 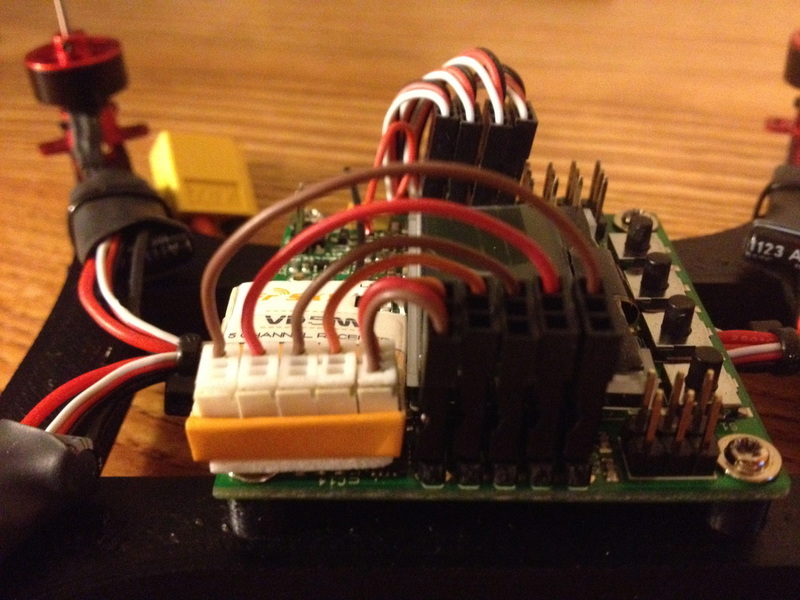 I removed the slack cable and directly soldered the buzzer to a spare JST plug I had. This allowed me to easily mount the buzzer without having to route the buzzer cable somewhere. 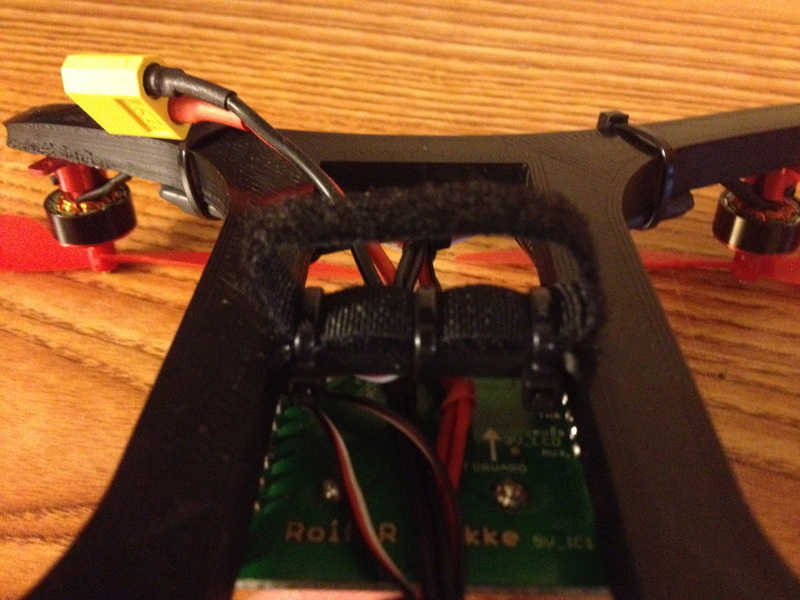 Lastly, I attached a loop of velcro to the bottom crossbar of the frame so that it could hold a battery. The loop of velcro is held in place using 3 zip ties. And that's it - the final product!